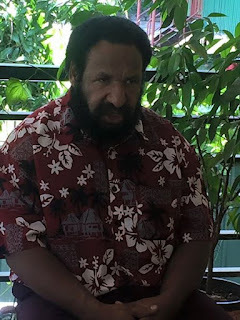 PORT MORESBY:K3 billion UBS loan is mainly responsible for the country’s cash-strapped economic crisis, says Papua New Guinea’s Opposition Leader Don Polye. Mr Polye also attributed it briefly to downturn in commodity prices. The country’s debt level, he said, is K30 billion against PNG’s aggregate wealth (total Gross Domestic Product) of K46 billion. He added that the country’s revenues were used to repay the loans overseas. “Our country’s future has been tied down under this huge loan which the Prime Minister Peter O’Neill has sanctioned. Next government will have a big challenge to address it. “2017 Budget books show less about it. Loans secured through the balance sheet of the State Owned Entities are not on the budget books. If the Prime Minister does not address this, we will go down the path of Greece,” he warnedyesterday (Thursday) when speaking at a launch of a community association at Keltiga village in the Western Highlands. A K2 billion, he stated, is sourced externally to boast the development component in the deficit budget. Debt to GDP ratio (K30 billion divided by K46 billion multiplied by 100 per cent), he said, is over 65 per cent, exceeding the legal ceiling of 30 per cent under the Fiscal Responsibility Act. “When PM O’Neill got K3 billion loan to buy 10.1 per cent shares in the Oil Search, it meant we had sacrificed our development budget for the duration of the loan repayment. Its repayment with interest is over K4 billion. “As a result most rural areas lack basic developments in the country. The government’s poor economic management, especially the cash flow problem is the main denominator. This is the truth I am telling you. Businesses and development associations can only be successful when there is sufficient cash flow. “The government says the problem will be improved in a year but this is unrealistic. It will take over 15 to 20 years. The Prime Minister has failed to manage the country’s economy. Polye further said the economy should grow, making commercial banks become flexible on loan terms and conditions. Polye has committed K1000 to the association as its seed capital. “The government must provide the services like roads, water and electricity supplies to boast the agriculture industry. Without roads, buyers of fresh produces won’t be here at your door. They will feel discouraged. When we are in government, we will fix these problems. We know how to fix them,” he said.